When there’s a even a whisper that a former employee has gone to work for a competitor, the former employer often rushes into court, files a lawsuit, and seeks a temporary restraining order or a preliminary injunction against the former employee to prohibit him for working for a competitor. Always, the former employee ends up on the right side of the “v,” as in: Old Co. (Plaintiff) v. Former Employee (Defendant). That’s the easy play because the former employee is the low-hanging fruit. Inevitably, he has fewer resources than Old Co. 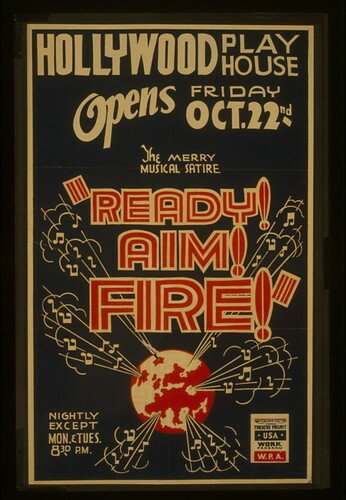 So, here’s the problem with ready, fire, aim. I’ve counseled employers on both sides of this lawsuit. Generally, if I’m working with New Co. when it considers hiring the former employee of Old Co., I counsel New Co. to hire slow. I’ll direct New Co. to inquire about restrictive covenants, get copies if they exist, and require the employee to make certain warranties and representations concerning his prior employment. That is, New Co. will make clear that it does not want the employee to violate any restrictive covenants. Plus, New Co. doesn’t want any trade secrets or confidential information that the employee may possess. In Acclaim Systems Inc v. Infosys Limited (opinion here), New Co. hired four employees of Old Co. Notwithstanding efforts to determine whether a restrictive covenants existed, New Co. was not aware of any. Well, until it got sued. But, because it wasn’t aware of any contract between its four new employees and Old Co., New Co. could not possibly knowingly interfere with those contracts by hiring the employees. Therefore, the Third Circuit concluded that there could be no tortious interference claim. New Co. wins. Or does it? Usually, the only winners in restrictive covenant battles are the lawyers. This type of litigation is particularly expensive. Plus, even if New Co. prevails on a tortious interference claim, if the new employee has a covenant not to compete, then the employee may lose. And, if the employee loses (i.e., a court orders the employee not to work for New Co.), New Co. loses too. Now, of course, that’s not always the case. Sometimes New Co. and employee prevail because the restrictive covenant does not cover the employee’s subsequent employment with New Co. Or, maybe, Old Co. doesn’t pull the trigger on the lawsuit. Ultimately, it’s a different cost-benefit analysis in each situation, one which New Co. must be prepared to undertake.